Good to see some more participants here. Being skeptic is even an advantage in this field. At least you won't be swayed so easily by the numerous inconsistencies and pseudo ideas. However, I am sure it you follow down what's going on here, you'll see the pieces of the cosmic puzzle yourself. a reply to: MaxTamesSiva Very insightful analogy with basketball, Max. I'll have to find the time to expand on the topic "why astrology works", but for now we will leave it behind. This question is for further lesson. ...continuing with the lesson on personal chart readings now. So... already you have a personal birthday to your client. You know as well, what exactly the client requires from you. You have your tools to work with - Signs, planets, houses and aspects - all intertwining into the delicate web we call life. The only one left question you will have to ask yourself is what method you should use for delivering the service. With the natal chart of a person you can do several things. You can read it directly. You can drop transit over it. You can progress it. You can bring another person or another event in synastry with it. All this you do by using your tools. Do not worry for now, what fundamentals they hide, we will discuss this in later lessons. We are just in the beginning as you well might guess. You should not hurry to understand everything at once. Just follow my thought. Direct reading consists in observing the positions of the planets into the signs and into the houses of the natal chart, and the aspects which the planets form. This will tell you what is the personality, or character of your client, his tendencies, strengths and weaknesses. Even only by this method, which is the most easy and most quick one you will be able to realize a lot of details and resolve "the trouble" or "the situation" in which your client is. Yes, get used with that thought you're gonna probably be contacted mostly for "situations" and "troubles". Calculate the positions of the transiting planets in the moment of the requested event, day or several days period that is discussed. Lay it directly over the natal chart of your client. You will see overlappings and interactions between the planets of the natal chart and the planets of the transiting chart. Also do ibserve and interpret solely the influence of the transiting planets, without the correlations to the natal chart. It is rule of the thumb that progressive events should be planned for execution into progressive astrological environment and degressive events should be planned into the aggressive and destructive astrological environment to reach maximum efficiency as result. This method is a little bit more complicated than the first one but do not worry, once having understanding of the basics, everything will come into place. Progressing the charge is the most difficult and most extensive task. It is used for casting an yearly horoscope. Progression is really hard to explain and prove, but it is ultimate weapon in your method arsenal. A deadly weapon. And I am not joking here, when you want to calculate life span, you are watching exactly progressions. This method is much like a imaginary transit on grand scale. It involves moving the natal chart forward one day for each year of a person's life. So for example, if you have to cast the progress chart of your client when he is at 30 years of age, instead of doing something crazy or fancy you just cast hus transiting chart as he is baby with age of 30 days. Neat, right? Yeah, I know it sounds crazy, but it works as Mercedes! This type of chart is used for explaining the influence and unfoldment off its own fate into the person's life. There's nothing DIRECTLY astronomical in this method, except that you use it with the same tools which you use with the other methods. This one is more mystical approach, which shows exactly that astrology is not a mathematical science but an art, and a very fine one. what we can achieve as modern astrologists? - As best as an ant can drive a space rocket. But if you want to be a good astrologist, exactly, you have to think of yourself as an ant which wants to go to the moon. Yes, a nut one. Synastry is the other widely used method, concerning natal chart readings. It simply represents the combination of 2 or more natal charts. it could be as well a natal chart and an event combination. You must lay them about each other to see the interaction between them. but don't be fooled that it sounds easy. In this method is hidden huge complexity. However, its rewards are great when studied properly. Imagine the basic Modern Family of a male, a female and one child. By casting a proper synastry chart including all three persons of the family, you will be able to understand the most intimate connections between them and all problems and relations will clear themselves up. You'll start to see the web between them(the members) like in a soap opera. But to do this, to read this chart is three, four, even five times more complicated then reading a normal chart. basically you have 36 planets to consider and 36 houses inside the 12 zodiac signs. And probably a range of aspects between 25 and 50 to consider. And it is not only about counting, it is more important to make the proper interpretation of the interactions/connections/relations. Yes, this can take whole day work with the typing and printing. But happily, once you know the way it's done, you'll be able to direct yourself into certain area of life in the Synastry chart and be able to see a clear interpretation and thus find the part of information that at this moment will serve you and your client. Surprisingly enough, sometimes, this could be plainly seen from the moment you cast the chart. Let's imagine a such family of three persons as already proposed, calls you and complains that they have some kind of problem. They always fight with each other as a dog, a cat and a chicken. However, they can't, or have not the desire to tell you any more useful information, but they want your help. This is exactly the situation where a partial synastry reading can save your day. Remember, the bigger the problem they easier to be seen. Just overlay all their 3 natal charts together and just observe where the most tense aspect and misplacement are happening between them. For a situation like the proposed one, you would have probably few possible explanations, but do not worry or hurry anywhere. Leave it to rest for an hour or so in your head and you'll see exactly which explanation is the key - suddenly in a flash of enlightenment(hopefully haha😆). Then you'll be able to write your response, horoscope, or whatever service your called for. Thank you for the multiple cherries on top of my sundae and you even added sprinkles. Both Sun and the Earth are sort of almost perfect spheres. If you do the calculations the Sun is equatorially about 108 times bigger than Earth. In volume the Sun is 1,296,000 times bigger than the Earth. As well, the Sun is about 332,000 times as huge as the Earth of we compare their mass. Its diameter is approximately 1,440,00 kilometers. The inner core itself wasn't discovered until 1936. It is, 1,440 miles in diameter and heated to a blistering 5,000 degrees. One of the interesting things you might already noticed is the fact that there was numerical comparison in context between miles and kilometers. The ancient struggle of which measuring system is better harmonic paradigm and is truly oriented will remain probably long long in the future for the ages to decide. In the same manner astrology does not work only with one system of the zodiac. Maybe one day we'll find the best and only true system that will solve many or all of the problem that still astrologers have, but for now different astrologers go for different systems and use various different approaches. 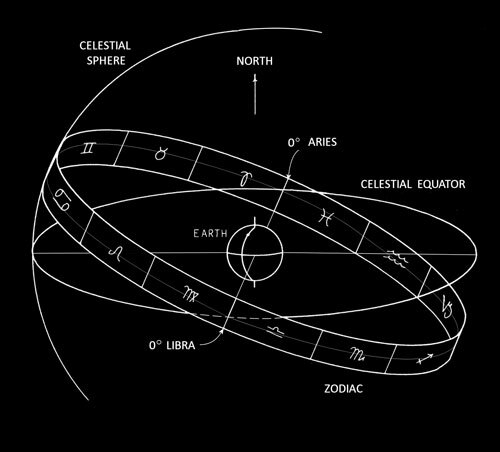 The 36 zodiac represents the general 360 degrees circle with 36 decans inside. This is the most common known zodiac expression and many astrologers tend to use it. This type is best used to solve pragmatic problems. The 108 Zodiac Keys, a bit more complicated. But yields better results if the problem is of sublime and mystical/spiritual matter. The languages for translating this wheels are created by human, which means that they are imperfect and would have of course, their own inadequacies and mistakes.